It’s Wednesday, and I am here to inspire you to get out and experience life in the simple ways. We don’t all have money to get out of town every few months, but we do have innovation, creativity, and often a lot of inexpensive means to get the most of our lives. 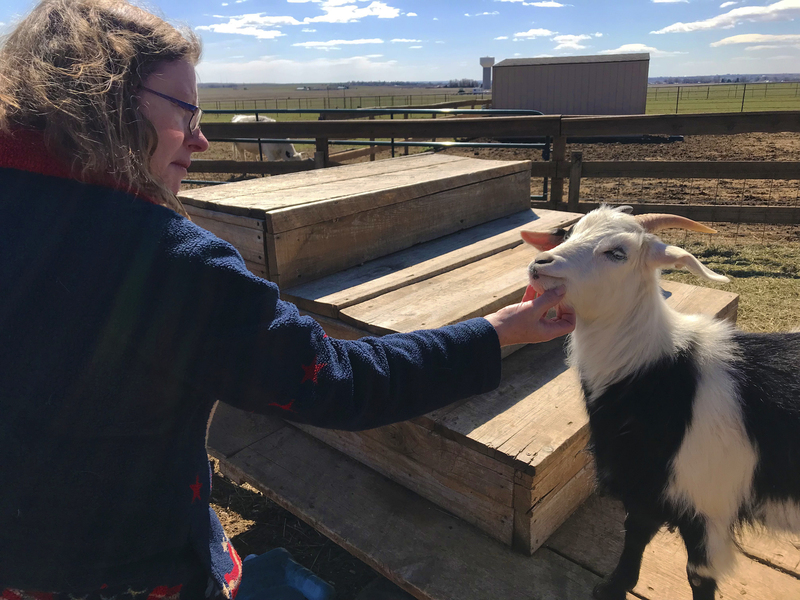 In order to make the most of my weekend I contacted a local goat farmer! Because they are some of the most adorable creatures on the planet! 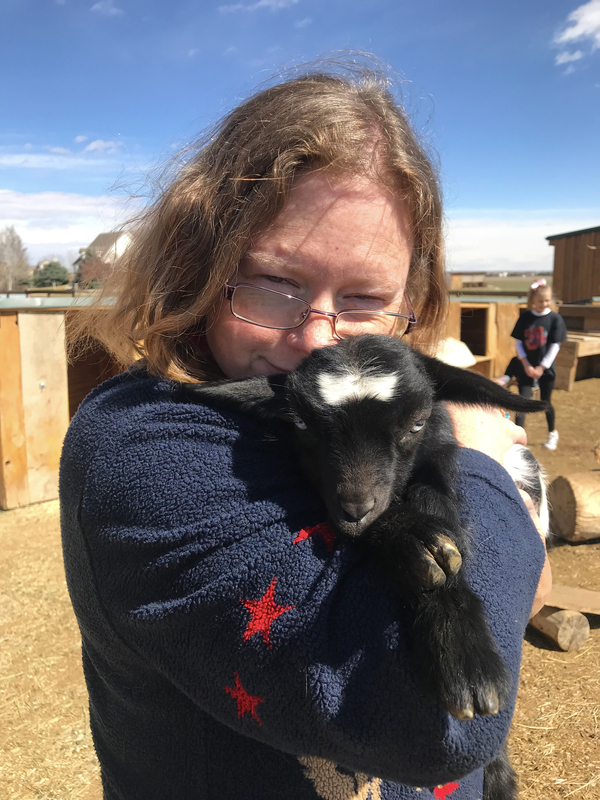 Also, the farm, Barnyard Buddies Fainting Goats, is absolutely fantastic in their rearing of animals, and community outreach that educate and inspire others to learn more on the goofy babies. 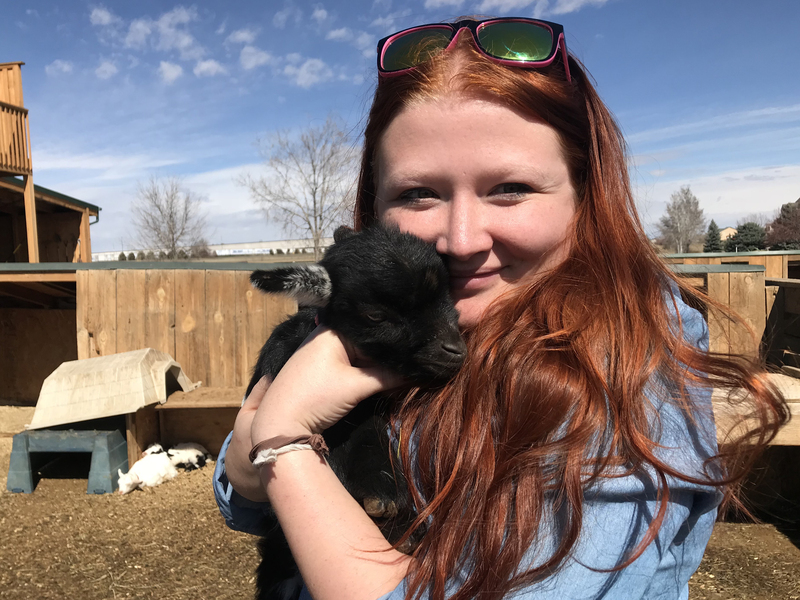 The best part was that it meant my money, a donation for food and effort, went directly to encouraging small farmers and their mission of raising rare livestock. 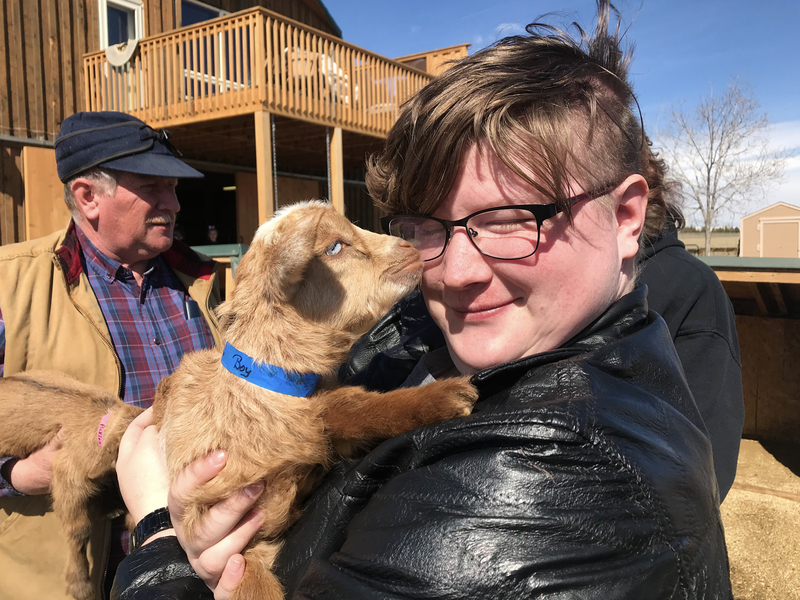 Okay, actually the best part was getting to love on baby goats for an hour and a half. 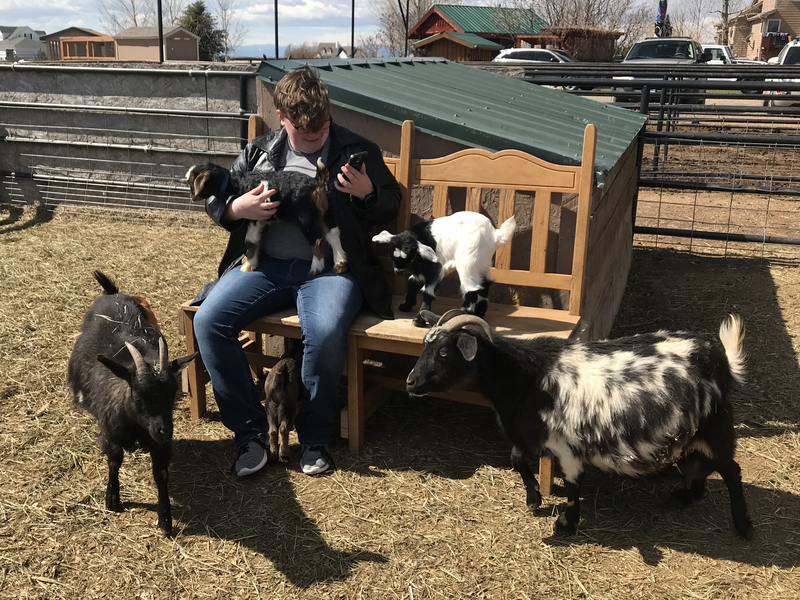 BABY GOATS FOR AN HOUR AND A HALF. You’re probably thinking, how did this rando blogger in Colorado get such a deal? 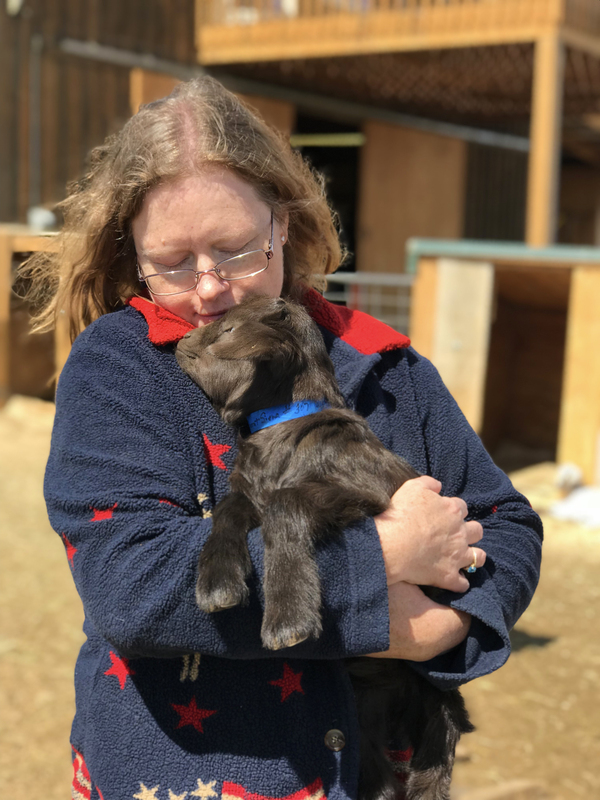 WELL the farmers want the babies socialized so that they make the best possible pets for their clients that buy the babies as pets and friends. Therefore, having people visit is a win-win for everyone. 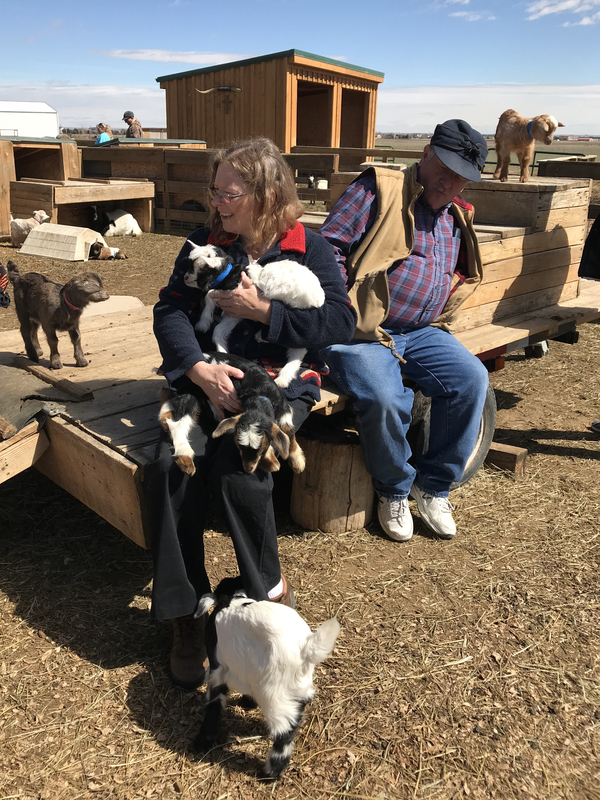 The farmer gets the goats socialized, the goats get lovings and hair to chew on, and the visitors have a freakin’ blast. How did I know about the fainting goats? Well they have a fantastic Facebook page! 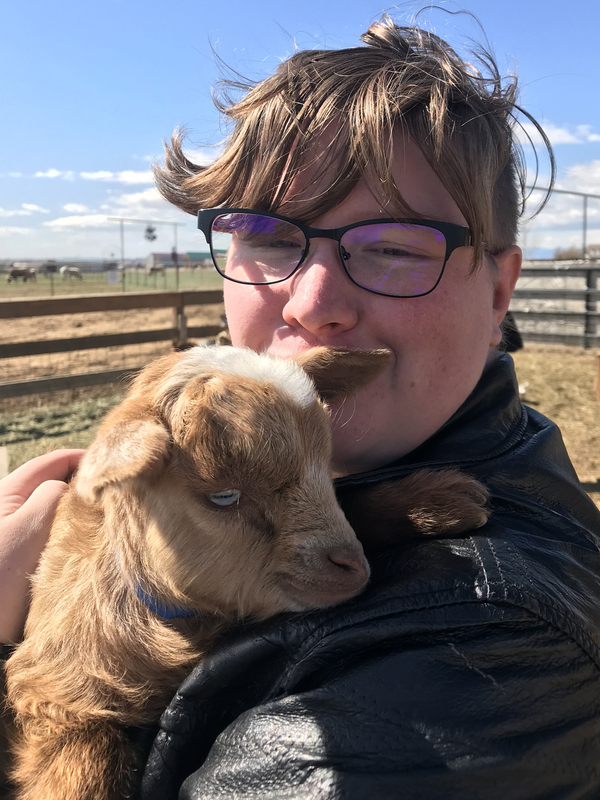 There, they post gobs of adorableness of babies playing, running, jumping, spazzing, fainting, and the other things goats do. They also hold Yoga classes with the babies, of which I attended about a year ago, and had a blast with. This they do with the talented and wonderful OmKai Yoga based in Fort Collins. If you want to attend such a class, click here. The added bonus to the whole adventure was some family visiting for my mom’s birthday. 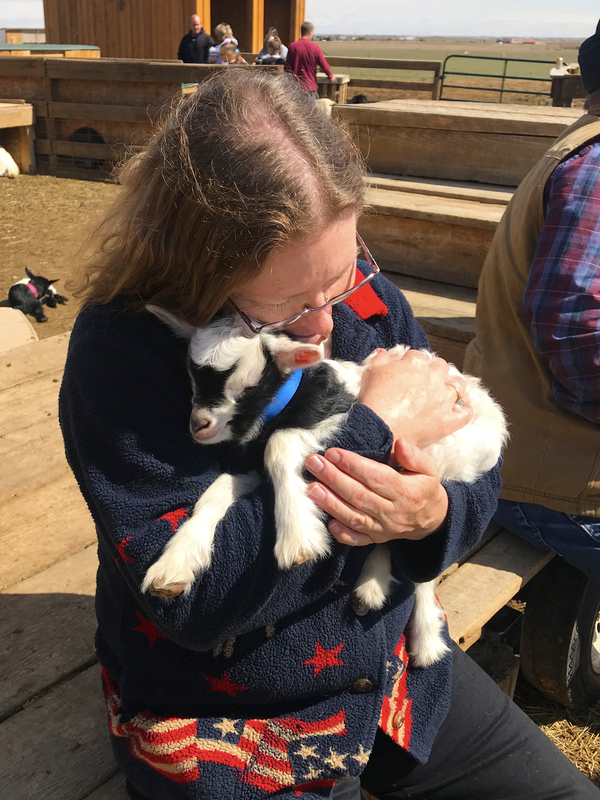 My mom turned 50 on the 2nd, so to celebrate; I took her to a goat farm. Which is a little odd. 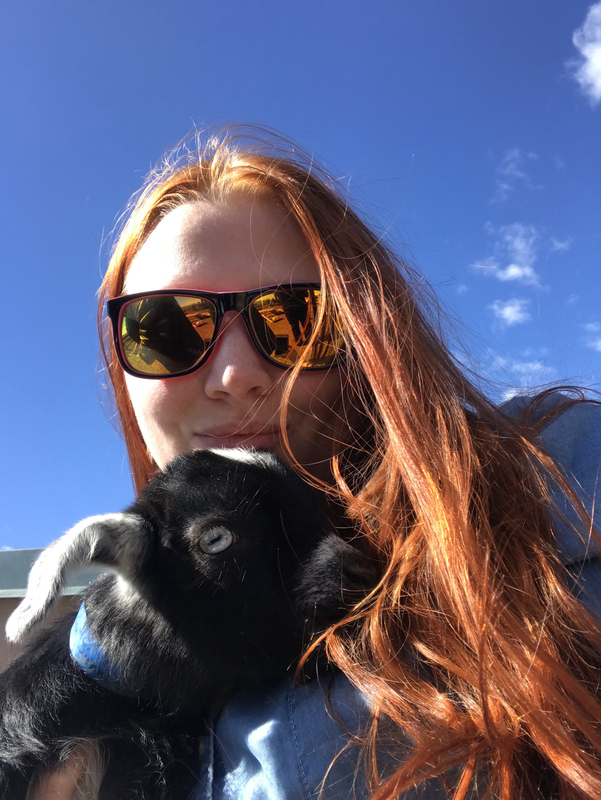 Originally the plan was Disney World, but life happened, so goats it was. 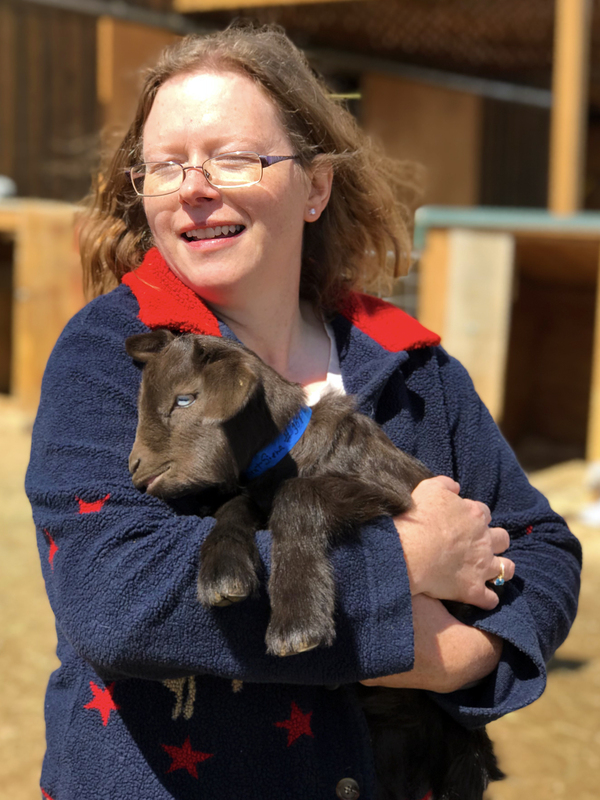 I know this sounds selfish, and maybe a part of it was, but my mom grew up with goats, and loves goats, so I truly believe she had a good time. The photos also speak for themselves!